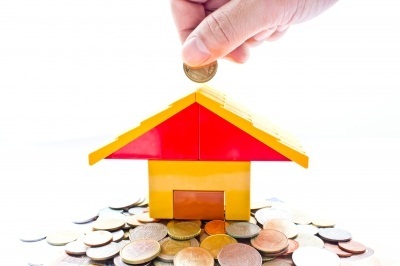 There are lots of methods real estate investors use to determine the profitability of a deal. The small investors like myself however like the popular one percent rule for rental property. Its not accurate at all and should never be used alone in my opinion. But if one needs a quick way to start looking at a residential property deal, I think it helps. I always calculate the rate of returns using the annual net income and total expenses but I sure look at the one percent rule first. Monthly rental should be 1% of the property’s selling price. Meaning that for every R100 000 you pay for a property, you should get R1000 in rent per month. A property going for R500 000 should give you R5000 per month. Easy as that. But can you see how misleading this could be? You may look at two properties and find one giving you the 1% or more of selling price in monthly rentals and the other less with the same returns on the capital invested. A number of factors like interest rate, maintenance/age of the property, vacancy rates and other expenses are even more important than the selling price and rental rates. Having said all that, I still look at the 1% rule before even thinking of buying any rental property. Using the rule gets even more complex and almost impossible for us in South Africa. House prices were reported to be at least 25 percent overvalued by the economist Erwin Rode in January (the Rode’s Report Q4 2011). Meaning that, (looking at what prices are expected to be according to real estate trends) we pay at least 25% more on a home. But he expects the prices to revert back to expected lower levels in real terms (not nominal). In the meantime, this translates to low rent yields. One percent of the selling price seems to be just a dream in most SA areas. You must always remember though, that, great deals do exist. They are just far apart. You will typically get more than 1% in bad locations, where tenants are also bad and don’t have good track records. The property prices are quite low in those areas, giving the rate or returns an artificial boost. However, the vacancies, damaged properly and missed rental payments tend to lower the returns anyway. Its high risk and high returns. This is a “no-go” zone for me. I typically love investing in middle class areas. Bargains are hard to find. Tenants are usually high quality, pay on time and take care of their homes. You get high maintenance tenants too in those areas. The last complaint I had was about the stove that was not cooking cookies evenly. I had to change the whole oven. I was really happy to do so. A happy tenant translates to a happy landlord. I then went ahead to spend on the neatest and most expensive security bars. The tenant was happy to pay premium for that expenditure. I love that. You may collect rentals of about R4500 per month for a R520 000 townhouse for instance. This is not the worst case scenario. I started in what I can call the lower middle class neighbourhood. A lot of students and young professional tenants. You just have to be strict with screening your tenants. I never broke the one percent rule for rental property in that area. I was always above 1% but hiring a property manager was just mandatory. High returns and a slightly higher risk is the name of the game. I since decided I want easy. I am willing to pay a little extra in down payment in a good neighbourhood with expected high capital growth. A higher deposit or negative cash flow for a year or two is not that bad of a deal for me. Especially when a property is well maintained, the area is up market, the property is relatively new and needs no up front repairs. I need guts to make ridiculously low offers though. Its as if I would be committing crime. I am not as good with negotiations. Capitalization rate is another great tool in when buying through the bank or any other lender. I will explain how the cap rate is determined in another post. As for today, its 1% rule. Just remember to team up any method with another one for better results. How do you decide on an investment property? Do you also look at the one percent rule for rental property or use more sophisticated tools. I like that rule but in Europe it is practically impossible to get those returns. Selling prices are so high that if you make 0.5% you can consider yourself lucky.